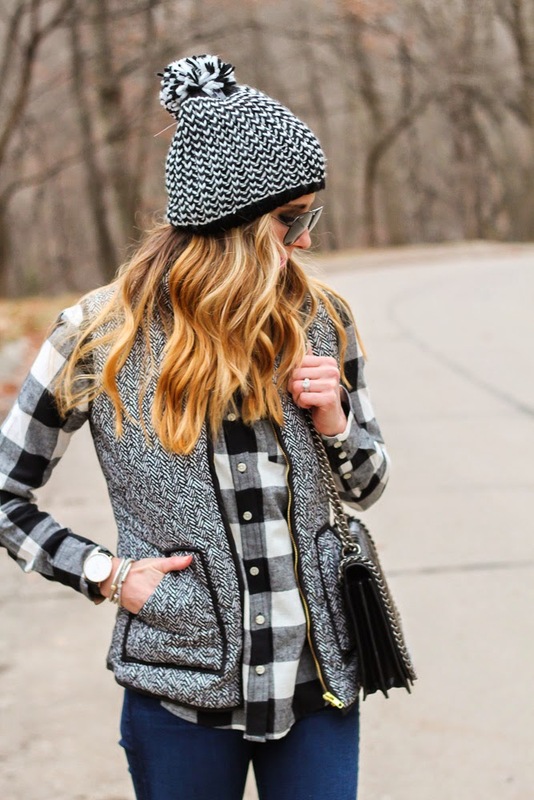 One of my favorite looks as the season is changing from Fall to Winter, is a cozy flannel, paired with a puffer vest and beanie. I can wear it with leggings, jeans or joggers. 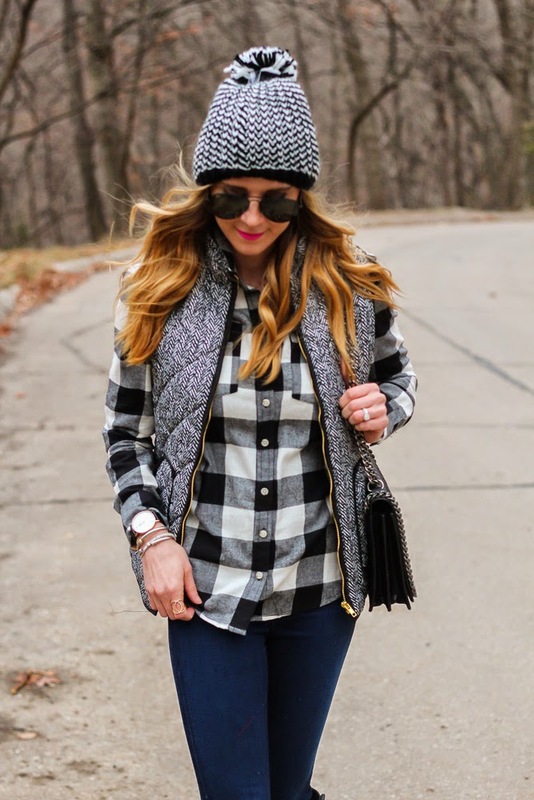 I love this black and white herringbone vest, which can be layered over almost any color and pattern. And who doesn’t love a beanie with a pom, especially when its under $15! That is the perfect vest! I have a poncho with that same small, herringbone pattern and I just love it. I feel like it goes with everything! I also LOVE that you kept this look black and white. It allows you to play with patterns so perfectly. Have a great weekend! Where is that flannel from?! I love it! However its taking me to the beanie! Thanks 🙂 and you look fabulous! Love the flannel on you, but sometimes Target tops are a little weird fitting on me. I gotta know, does this one really look as good in person as it does in photo? And I can't believe all the leaves in KC! Chicago is bare and ugly all ready for winter!